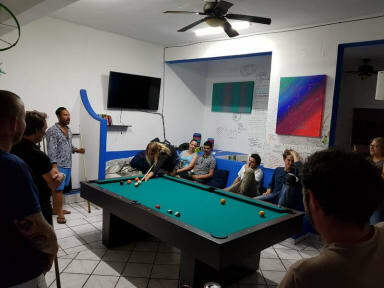 As A Tourist, Your stay in Puerto Vallarta deserve to be the best of experience… Downtownl Vallarta Hostel Has Always Been Said To Be An Hostel Ahead Of Its Time. 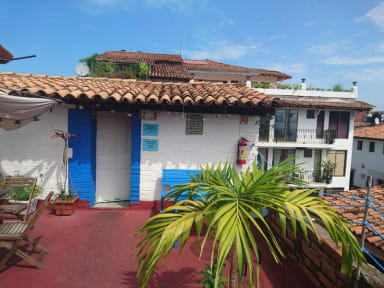 Immerse yourself at the environmental friendly Downtown Vallarta Hostel with pure serenity and get rejuvenated and relaxed. Why waste your vacation in a mass tourist installation. After all you deserve a little elegance in an intimate hostel central Vallarta, located in just 1 minute walking distance from Puerto Vallarta famous Malecon – with warmly social environment with the best restaurants, Puerto Vallarta´s nightlife, and of course the unique sunsets from Puerto Vallarta with great feel of nature. We know how it feels to be a traveler or a tourist! Be caressed by the gentle breeze of nature and experience the special magic of paradise while relaxing in a peaceful home away from home. We are located in one of the best areas of the city, near to some of the best attractions and landmarks of the city such as Museo Naval, Museo del Cuale Puerto Vallarta and Monumento El Caballito, amongst other interesting spots that yoiu can enjoy and discover in our city. We have different types of accommodation options, both dorms and private rooms to satisfy the different needs ans wishes of our guests and travellers. Enjoy the sun, TV, kitchen, free WiFi, coffee & tea with access to our new bicycle if you want. Our well-equipped dorms has 8 & 4 comfortable beds and we pride ourselves in professional services when it comes to all Vallarta tours, especially Marieta Islands, Arcos, Animas, Yelapa & Majahuitas. Come & meet friends from around the world while enjoying a life time experience.